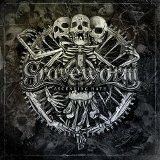 Graveworm has gotten some pretty rough press in the past few albums for its foray into more radio-friendly and gothic arenas, so though I've never subscribed to the theory of some reviewers that their cover of R.E.M. 's Losing My Religion was the beginning of the end, I was still prepared to be disappointed when listening to Ascending Hate. But all those preparations were in vain. No, Ascending Hate isn't a masterpiece of kvlt inaccessibility; the goth and symphonic elements are still there. But they are tastefully done, the album has some melodic strength to it, and founding guitarist Stefan Unterpertinger is back -- who, perhaps not-so-coincidentally, was part of the lineup and did the songwriting during their best albums. First off, the synth and symphonic parts are toned way down, so they're usually hiding out in the background; they never offend, and sometimes they give the guitars unexpected help. However, Ascending Hate is very much guitar-driven, even in the starting clean intro melody of The Death Heritage. There are blastbeats, tremolo picking, and lots of harmonized guitar leads; the only real nods to the goth heritage is in the piano bits underscoring the blastbeats in a manner similar to the piano accents of a Dark Tranquility song. Buried Alive and Blood, Torture, and Death have chunkier, more driving melodeath-style rhythms, and the guitar lead on the latter song, pasted over the symphonic background, gives it an atmosphere that puts it well beyond what I'd normally expect out of this kind of song. The band occasionally tries to vary its sound on Ascending Hate, with some success here and there. Downfall of Heaven puts more emphasis on death metal, and while Graveworm isn't the strongest death metal band one could think of, they make a decent attempt at adhering to fierce riffing in the verse until they throw up their hands and move on to one of their melodic choruses. I wasn't impressed with the following track, Stillborn, however; it sounded like a generic Amon Amarth tune for the most part. The album does end on a strong point with Nocturnal Hymns II (The Death Anthem), though it doesn't have the same symphonic power and depth of the original from As Angels Reach the Beauty. Graveworm hasn't exceeded their earlier days of blackened glory with this one by any means, but Ascending Hate is a solid enough effort that won't let a listener down. If they could get a little further back to their roots I'd be happier, but while we wait for dessert, we can at least fill up on meat and potatoes.